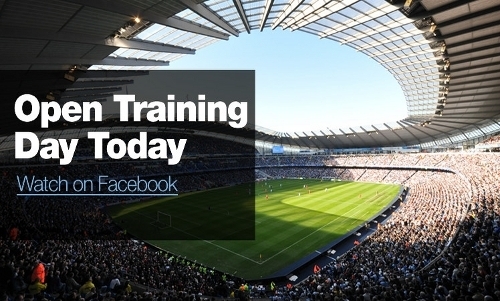 Football club Manchester City is holding an open training session today and is trialling a live video stream of the event on Facebook. Despite being a training session and not a full match, the event should hold appeal to avid fans. Today’s stream features a preview of the club’s new kit, a new family stand at the City of Manchester stadium and is the first chance to see the club’s new lineup in action. Live streaming from a tab on a Facebook page has been possible since the social network announced a partnership with Ustream last year. 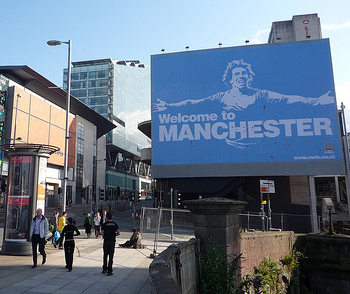 For Manchester City though, it’s another string to an impressively diverse bow of online social tools used by the club. Stansfield gave a talk at the Manchester KittenCamp event recently where she discussed some of the club’s tactics for engaging with fans online. In addition to lively Twitter, Flickr and Facebook presences, the club has an in-house video team creating as many as four new clips per day for fans to watch online. They also operate an ‘open door’ policy for contact from fan blogs, even going so far as to hold a preview event for fan-bloggers before their website’s current design launched. Not all football clubs are quite so forthcoming in their online engagement. Today’s live stream starts at 1.30pm BST here.